Edmund Optics® (EO), the premier provider of optical components, is proud to introduce the TECHSPEC® Multi-Element Tube System. This new TECHSPEC® Multi-Element Tube System creates highly versatile optical systems, using mix-and-match components allowing unprecedented adjustability. This system is ideal for prototyping and creating uncommon optical designs. What is an Optical Chopper? The TECHSPEC® Multi-Element Tube System works by combining Multi-Element Outer Tubes with Multi-Element Inner Single and Pair Optic Mounts to create a complete system. The Outer Tubes have M29 threads running down their entire length; Inner Single and Pair Optic Mounts have M29 threads along their outer diameters, allowing them to be placed anywhere within an Outer Tube. This design allows optical spacing to be infinitely adjustable along the optical axis. To ease adjustment, we also introduced a custom-designed Multi-Element Tube Spanner Wrench, which has a hollow bore to allow a beam to pass through during adjustment. The TECHSPEC® Multi-Element Tube System can be further customized by using Multi-Element Spacer Rings and Spacer Tubes to securely define optical spacing, Multi-Element Inner Apertures to control internal beam diameter, and additional Multi-element Tube System Accessories to connect systems together or expand systems’ capabilities. 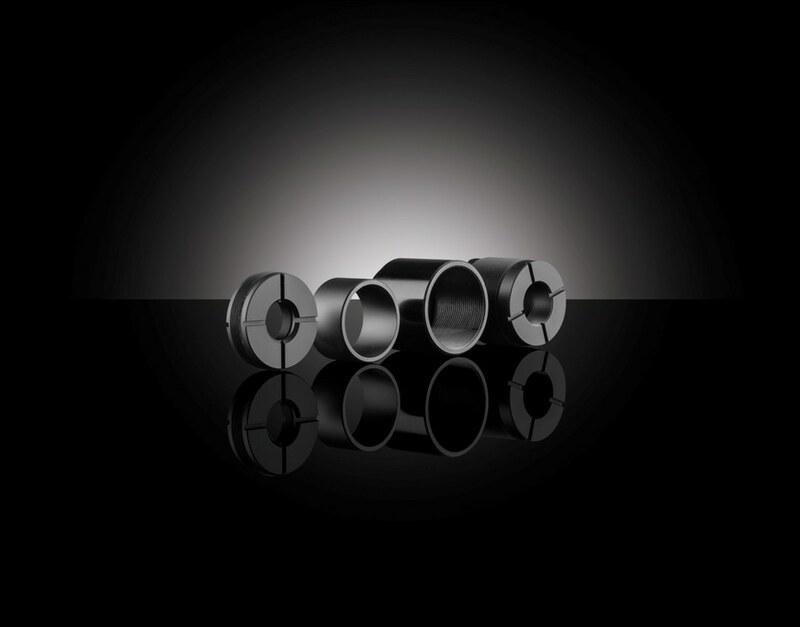 The TECHSPEC® Multi-Element Tube System accommodates circular optics with diameters from 5mm to 25.4mm, and edge thicknesses up to 17mm. System lengths can range from 15mm to 100mm, and can be combined to expand capabilities. Multi-Element Tube System components are in stock and available for immediate delivery.